It has been prophesied that four men, raised as brothers, will bring Scotland back to her rightful glory. It is time for the second to take up his sword. When a Highland warrior fights, he fights for honor. And when Reeve MacAlpin sees a beautiful stranger surrounded by bandits, he does not hesitate to do the honorable thing and dispatch her would-be assailants. But at her first grateful touch, his instinct to keep her safe is surpassed by a longing to keep her close . . . and to fulfill her every desire. For as long as Tara can remember, she has lost the people she loves most—a curse that is sure to doom anyone who shows her kindness. 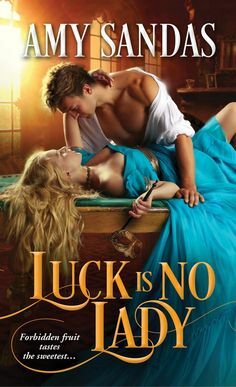 She can never love without bringing death—and though her powerful Highlander champion tempts her beyond imagining, she fears that to give herself to him means his downfall. And yet she knows she must tempt Fate . . . for to resist him would be just as unthinkable. When Reeve, finds a lone woman surrounded by thieves, defenseless and outnumbered, knowing he can’t leave her to their mercy, he comes in and saves her from them, even not knowing who she truly is or the danger she may pose to him. Tara, has had to live a very lone existence, but when she meets Reeve, she knows that her life will be different. After being cursed when she was a young girl, she has lost two husbands, and has been labeled the “Death Bride” and having been forced out of her clan, and her family. Now on her way to marry again at her father’s demand, she is accosted by thieves wanting her bride price, and is stunned when a handsome and very capable warrior saves her. Even though there is a instant ‘spark’ that fly’s between them, she knows she needs to maintain a distance in order to save his life, but as their journey progresses and they draw even closer to each other, Tara will have to put her faith in their love, since it will be the only thing that could save Reeve from certain death…. Reeve, the second of the four brothers, is determined to make sure he does all that he can to bring the rightful king in place, and his missions are vital, and when he meets Tara, his missions are put on hold, when he see’s how much trouble she is in, he decides to take her to his clan and his family, knowing how much she needs a home and a family, and time to convince her that love is powerful enough to outwit any curse no matter the circumstances. Tara, ever since she was young has lived in fear and guilt, and after all that she has gone through, she knows that whatever she feels for Reeve can’t go anywhere, not if she wants him to live. But she can’t forget how much he makes her feel alive, in a way she has never felt before. Tara is desperate to find any solution to resolve this curse that has been placed on her, no matter what she has to do or sacrifice to save Reeve’s life. Loved By A Warrior is the second in the Warrior King series, and I think I just fell in love with this one. After seeing Reeve and Tara in A Warrior’s Promise, I was very glad to read their story, and it was even better than I expected. From the first paragraph I was hooked. I really like the connection you see from the beginning, and even there were a couple aspects of the story that could be repetitious it was a very likable and enjoyable read. 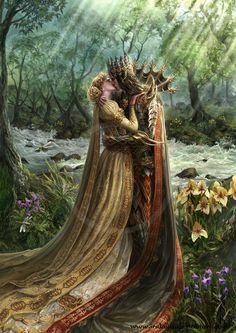 Reeve, is very protective of Tara and doesn’t believe in curses, and just believe they are a myth, but he has a lot of faith in his love for her, I found him to be very appealing, especially as the story progressed. Tara I liked in the beginning and the end, but I think the one thing I didn’t like was that she was too selfless at times, and it became repetitious at times, but I really liked at how the story plays out in the end, and I found myself fully satisfied, and wishing it hadn’t ended, and I am very much looking forward to reading the last one in the series, especially if its anything like the two books I have read so far. A completely endearing and loveable story with characters that will just win your heart over!! !